Select all the important data that you will want to see from the available filter. Select the start and end date. Select the type of query you wish to see. Queries answered by the bot, queries unanswered by the bot, or both. Select the country from the drop down. 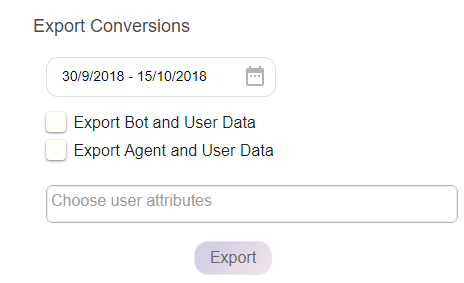 By click on this button, the complete statistics will get exported in an Excel format.